It’s possible that the biggest conspiracy theory here – is the one that the police have come up with. Philip Marshall’s first wife, Ann Kallauner, told the Union Democrat she did not believe Marshall was a “Contra pilot.” She believes her former husband provided a taxi service for Barry Seal; a man who worked in black-ops smuggling drugs and guns in and out of the country for the CIA and DEA. So how much did Kallauner really know about her ex-husband? In the same interview she admits that Marshall was not always honest about his travels with Barry Seal. “He’d be in one city, tell me he was in another,” she told the Union Democrat. Philip Marshall began flying at age 15. The young pilot’s first flight instructor was his father. On 9/11, after the second plane struck the World Trade Center, Marshall’s father called him from New Orleans, the city where Philip was raised. From his Santa Barbara home in Northern California Marshall picked up the phone, “Phil, thank God you’re home.” Marshall’s father added, “There’s more planes missing.” In Richard Clarke’s gate-keeping book, Against All Enemies, Clarke wrote that on 9/11 there were more than a dozen planes missing that day. 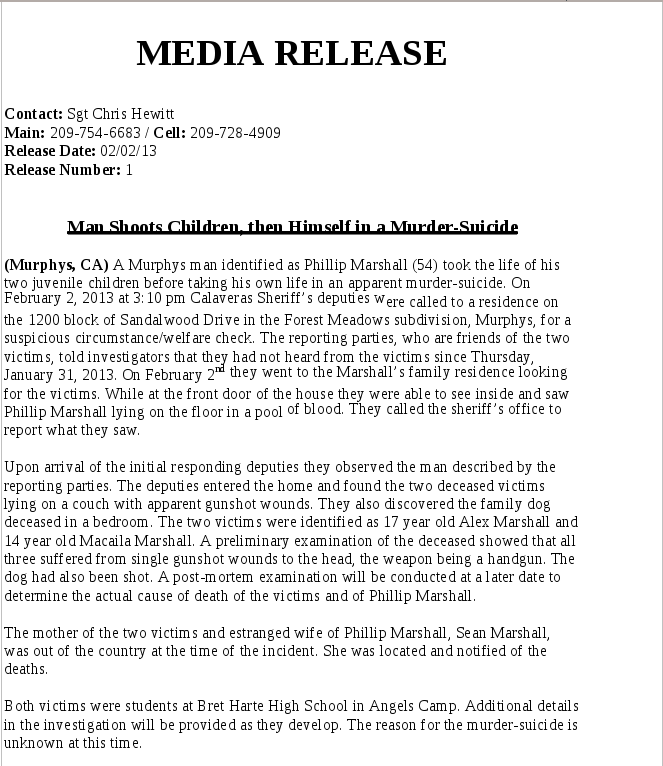 Many news reports have been quick to echo what the Calaveras County Sheriffs Department has claimed; Philip Marshall killed his two teenage kids, his dog, and himself. What we know is that there is no motive for the allegation, and we know that this conclusion was made the same day that the three bodies were found. The family dog was found in a bedroom, the two kids were found “sleeping” on a couch in the front room, six feet away from each other, and Marshall was found face-up near the front door, in a pool of blood with his gun next to him. The biggest conspiracy theory here is the one that the police have come up with. Have they tested Philip Marshall for gun residue (ballistics testing)? The police department have not released any information about this question and I haven’t seen it asked in the local news reports about Philip Marshall. The Calaveras County coroner, Kevin Raggio, claims the two teenagers, Alex (17) and Macaila (14), appeared to be “sleeping.” Joel Metzger, of Calaveras Enterprise.com, points out “It’s highly unlikely Marshall could have shot one without waking the other.” Metzgerreports that Sgt. Chris Hewitt was asked about this. Hewitt responded by saying he could not comment on it, “It’s part of an active investigation.” I thought they had concluded their investigation when they determined Marshall was guilty of a double-murder suicide? Perhaps the investigation is still “on-going” because the police have no motive, no suicide note, and no indication that Marshall fit the profile of someone who murdered the two people closest to him, his own flesh and blood. Some would say that Marshall did this because of the separation and future divorce to his second wife, Sean Marshall. That is a theory to which there is no evidence. Critics point to a December 2008 dispute Marshall had with Sean and her sister, Erin, over the custody battle of the kids. Marshall was accused by Sean and Erin of slapping Erin at the Forest Meadows home. Marshall was detained, not arrested, and eventually released. A month earlier in November, Philip Marshall hid in the shower of his house with a video camera as Sean entered the home and allegedly stole a bottle of six 20-milligram pills of Kadian; a very strong opioid. The police were called out and eventually arrested Sean Marshall, charging her with petty theft, trespassing and possession of drugs without prescription. The charges were dropped on September 28th, 2009. When asked by police why she took the pills, she told them she hid the pills in a tree and planned on giving them to her lawyer. A divorce hearing was scheduled for this week, February 25th, 2013. Sean Marshall filed for divorce in October 2012. Though the police have no motive, and it’s possible they never will, there are theories that one of the reasons why Philip would kill his kids is over the divorce. Again, this makes little sense considering the age of the children. 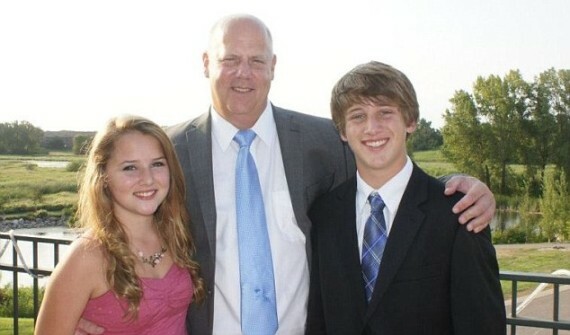 If Philip Marshall was as close with his kids as friends and neighbors claim, then he didn’t have to worry about losing his teenage children in the custody battle. Alex was 17, almost an adult, who could make his own decision as to where he wanted to live and why. Though Macaila was 14, I believe the judge would have asked her where she wanted to reside, with the mother or father. Since the two teens went to a high school near the Marshall residence and were active in both social and sporting activities, there’s little doubt the teens would want to finish high school at Bret Harte Union High. Philip Marshall was heavily involved in their school activities as well. So for me, the “If I can’t have the kids, nobody can” theory is very weak. Bob Freels, security guard for the gated-community of Forest Meadows told the Union Democrat, “I would never have guessed anything like this.” He describes them as a normal family. Bret Harte Union High School’s Assistant Principle Kelly Osborn is quoted as saying, “It just doesn’t make sense.” A neighbor named Mike Brown described Mr. Marshall as a dedicated father and Merita Calloway of the Calaveras County Board of Supervisors said Marshall was very involved with his kids. 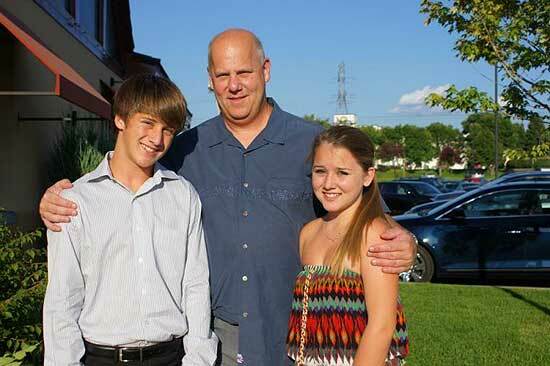 Joel Metzger, of Calaveras Enterprises.com, reports that Calloway also said, “the actions don’t match the person we know” and “he loved his children.” Nextdoor neighbor Carolyn Greenwood said, “I knew him long enough to know he was a regular guy. He was a good father, always there for his kids and a helpful neighbor.” More to the point of foul-play, Merita Calloway, who also lives in the gated-community, told a sheriff’s captain that she “truly felt like somebody came in the house.” While visiting Murphys soon after the incident, Wayne Madsen learned that a side-door was open when the bodies were found. So where is the motive provided by the Calaveras County Sheriff’s office? They have none. The people who lived near Philip Marshall and communicated with him have a hard time believing Marshall would kill his two children. There is no suicide note and no motive. Also, no one heard any gun shots between Thursday, January 31st and Saturday February 2nd, 2013. On February 3rd Sgt. Chris Hewitt made it clear the police investigating the crime do not believe there was foul-play. “All evidence and information at the scene confirmed this was indeed a double-murder suicide and there was no evidence to suggest there was an outside party who entered the house and committed a triple murder.” I hope part of their evidence is gun residue found on Philip Marshall. Of course, the police can’t even determine the time of death. They can only theorize on that too. It happened some time between Thursday and Saturday. The autopsy results by Calaveras County coroner Kevin Raggio confirmed what we already knew – that all four died from a single gun shot wound to the head. The toxicology report, which may not be released for a few more weeks, will hopefully shed some light on what really happened to Marshall and his family. Until then, I don’t see how anyone can conclude this was a double-murder suicide. I believe Marshall, his two kids, and the family dog (a small shitzu) were murdered one or two days before the Superbowl; which happened to take place in Marshall’s hometown of New Orleans. There is just as much evidence, if not more, to suggest foul-play as there is to suggest a double-murder suicide. Yes, Marshall had a Glock 9mm registered in his name, but where is the ballistic evidence to prove Marshall fired the weapon? Even then, how could the police rule out foul-play the same day the bodies were found. More so, if the investigation was on-going on Superbowl Sunday, why was a clean-up crew removing evidence from a crime scene? Why blame God? Why not blame the ones who murdered Philip Marshall and his two kids? Shall we just trust in what the police say? Should we believe, without evidence, that Philip Marshall murdered his two children, his dog, and then shot himself on the left side of the head? Conspiracy theories continue due to the unanswered questions, not because of Marshall’s past. Examining Marshall’s past brings us to Barry Seal. Barry Seal’s wife once said that her husband flew the getaway plane out of Dallas after John F. Kennedy was killed. It’s believed that Seal began flying for black-op missions in the 50′s and hired Marshall in the 80′s after Seal lost his pilot’s license. Marshall told Coast to Coast that many of the contract pilots did not know what their planes were carrying. Both Seal and Marshall were involved in smuggling arms and drugs into South America. 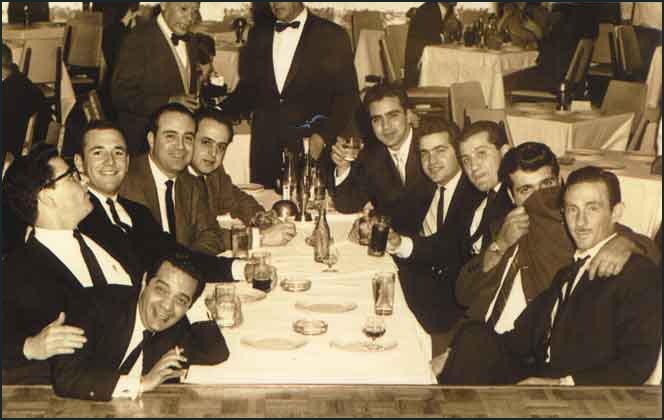 Barry Seal had ties to David Ferrie, who was also a pilot at one time. 1967, David Ferrie was questioned by District Attorney Jim Garrison about his involvement in the assassination of John F. Kennedy. Ferrie lied to Garrison about his whereabouts of November 22, 1963. Soon after Ferrie met with Garrison, Ferrie allegedly committed suicide. On February 19, 1986, Barry Seal was shot multiple times while attempting to exit his car. Seal was going to testify that George H. W. Bush was involved in the smuggling operations. Barry Seal may have been involved in what is know as Operation 40; the alleged hit team that was ordered to kill JFK on November 22, 1963. 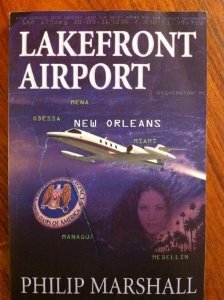 Philip Marshall’s fictional Lakefront Airport is about Barry Seal and his CIA-connected smuggling operations involving contract pilots. Wayne Madsen confirmed everything I learned on my trip to Murphys, and so much more. If not for Wayne’s excellent work, I might have reserved some judgment for a later date. It’s clear to me that many people in the town of Murphys do not believe the official story about Philip Marshall. I hope this revelation will help them consider that 9/11 was an inside job, as Marshall believed. He made direct ties between the hijackers, the flight training they received inside the United States, and the Saudi Arabian Government. It’s believed the Saudis and others financed the terrorist operation that killed over 3,000 people, spawned two unconstitutional wars, created the Patriot Act and made room for N.D.A.A. legislation where the president could detain anyone suspected of working with terrorists whether they are citizens of the United States or not. Due process died on 9/11. Even worse, many believe due process died a long time ago. When Philip Marshall saw the second plane hit the World Trade Center it would set him on a course to discover the truth about 9/11. He came to realize that the Osama bin Laden “killing” on May, 2, 2011 was a farce. I have covered this in my own book, False Flags. Actually it appears Marshall began seriously researching 9/11 around the same time as I did. Philip Marshall was not killed because he wrote a book on 9/11. Many people have done that. Can we prove he was killed as part of a black-op? Not at this time. Yet we know Marshall had dealings with black-ops and that he knew a lot of key players in the Iran-Contra scandal and the sting of Pablo Escobar. As a pilot Marshall understood that the official story about a plane hitting the Pentagon was not true. To this day, the government has not provided any proof of their own conspiracy theory of what happened at the Pentagon on 9/11. One of the questions I have is how Marshall’s children felt about their father’s books. Apparently, on Macaila’s Facebook page there’s a link to her father’s book on 9/11. Students were told instead of paying admission for that Friday’s school dance, they could donate to the bereavement fund. While I am happy there is a bereavement fund to honor the two teens, I am disgusted that the “organizers” would use such a tragic event to promote more gun regulations. With all the surrounding questions, what is the big picture here? What is the Big Bamboozle?